Competition among equally prepared peers can be fun and challenging to children and teens with competitive natures. No child should be forced to enter a contest that doesn’t interest him or her. These contests encourage the participation of homeschoolers, but may have restrictions because of age or location. Since contests require registration, kids, ask your parent’s permission before entering. Contests being held in one state only will be listed on that state’s page. Participation usually requires dedication and preparation and offers some kind of real prize as a reward to winners. Websites not meeting these criteria are considered “games” and listed elsewhere in Explorations 4 Kids. Awards from these contests can be used when filling out college applications, in the “Academic Awards” section. More Google news results of recent wins by homeschooled students in regional and national contests. The USACO supports pre-college computing around the world through computer programming competitions and training materials. When it comes to artwork, it seems Google is drawn to Fayetteville’s Hannah Newsom. The California-based Internet services company best known for its search engine has, for the third time in four years, picked the 11th-grade home-schooled student as a regional finalist in its Doodle 4 Google contest. 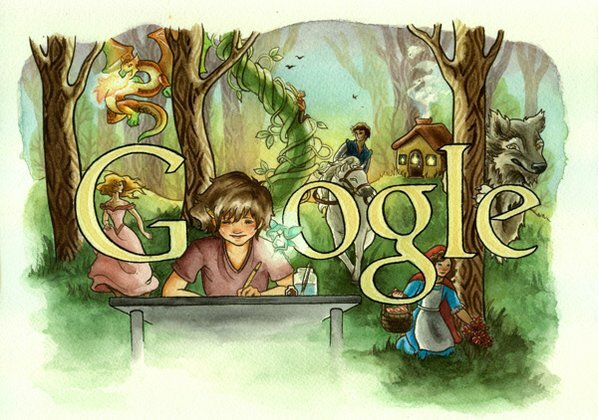 Changes to Doodle 4 Google in 2011. Now, in addition to schools, parents and legal guardians can directly register their K-12 students in the contest and submit their doodles. Kickoff is in January. The Freshi Film Camps and the Freshi Film Festival are programmed to address the needs of young filmmakers and screenwriters 8-18 with competitive categories, scholarships and awards organized by age group and content for both filmmakers and screenwriters. These programs happen in May with a submission deadline in January. Check site for details. If you are in grades K-12 and live in Oregon, Washington, Idaho, Montana, Alaska, or Utah, send us your drama, documentary, comedy, animated movie or media in some other style. Free to Enter. Deadline is August 27th, 2016. A yearly art competition that engages students to promote the need to preserve, protect, and restore the world’s oceans and aquatic resources. Submissions typically due in April each year. Open to young musicians (ages 13-18) in the Southeastern U.S. The Challenge is simple. First, you can take part in an extensive workshop with world-renowned composers. Then you will have all summer to write your own score. Finally in September, a panel of judges will choose the top three orchestral and ensemble pieces, and these will be performed by the Orlando Philharmonic Orchestra at the Bob Carr Auditorium. Sci-Fi and Fantasy writing contest for teens living in Maryland. Deadline is March 1 every year. Contestants shall be no younger than 14 and no older than 18 years of age as of May 29 in the contest year and shall reside in, or attend school in Maryland. Each sponsor organizes a spelling bee program in its community. The champion of the sponsor’s final spelling bee advances to the national finals in June. Sponsorship is available to daily and weekly newspapers. Both Poetry and essay contests. Three contests annually. Contests in the US and Canada. The AMC seek to increase interest in mathematics and to develop problem-solving ability through a series of friendly mathematics contests for junior (grades 8 and below) and senior high school students (grades 9 through 12). Registration in November and February. Students can participate in the competition at home or anywhere with internet access. In 2016, the competition will be from October 4th to October 18th. Students under the age of 20 can compete in teams of up to four individuals from any region or country. The team will be given two problems covering different fields of mathematical modeling, and it can choose to research on one or both of the two problems. This prestigious event will bring to the USA 500 of the most talented high school age mathematicians from more than 80 countries. The Olympiad will be held in Greece in July. A national math coaching and competition program that promotes middle school mathematics achievement through grassroots involvement in every U.S. state and territory. See also MathCounts changed Eligibility Rules for Homeschoolers, August 2010. Two divisions for 4-6th graders and 7-8th graders. Only schools or homeschool associations, not individuals, may participate. A homeschool association, to us, is a group of homeschool students from the same geographic area. Students not enrolled in a public or private school. Deadline is October 15 each year. Offers fun, challenging math contests to schools and individuals in Grades 2-12. Registration discounted for individual homeschoolers. On August 31, 2016, the programs that comprise the President’s Challenge underwent an organizational transition to better serve the American public. New and existing partnerships are providing additional resources for these programs to improve their efficiency, accessibility, and physical activity and nutrition tracking options. We invite you to stretch your mind and share your brainstorms on the web. Several contests for a variety of talents. A free, web-based science, math and technology competition for students in grades 6 through 9. The competition encourages and rewards students from a diverse range of proficiency levels, interests and backgrounds. Registration ends in early December. Web-based and face-to-face series ensure you can participate no matter your location or budget. There is a place for all students to contribute to the team through race engineering, coding and automation, design and fabrication, graphic design, marketing, community outreach and data-driven design projects that ask students to follow their own interests (as long as they follow good investigation practices = GIP). The web-based and face-to-face leagues are independent of one another so teams can engage in one or both (or neither). An international educational program that provides creative problem-solving opportunities for students from kindergarten through college. A homeschool-friendly competition. On our Robots 4 Kids page. Links to robot contests. Looking for help with that science fair project? You’ve come to the right place! We’re looking for a few great students and teachers to inspire us with their enthusiasm for science, so show us what you’ve got! Create a short (1-2 min.) video about one of this year’s scientific topics and YOU could win a trip to Washington, DC to compete in the YSC finals. Have you been working to preserve the world around you? Have you been teaching others how to protect the environment? Have you been doing an environmental research project? Not so much a contest as an honor. Delve into the topic of introduced species in general, and within your own communities. Teams of students select a technology, research how it works and why it was invented, and then project how that technology may change in the future. K-12. Sign up now. Projects due in April. Every year, the EngineerGirl website sponsors a contest dealing with engineering and its impact on our world. We invite submissions (focusing on light from the night sky or the sun) in the following three categories: Observations and related research, Essays (up to 1000 words), Arts (music, sculpture, drawing/painting, etc.) Submissions will be grouped into the following age ranges: Kindergarten – 2nd grade, 3rd grade – 5th grade, 6th grade – 8th grade, and 9th grade – 12th grade. (Or equivalent ages.) Deadlines: submit by May 15th. Round Two: submit between May 16th and October 15th. A parent and child event. Makes this a family challenge. Any organization may run a local competition with at least 12 contestants. Designed to recognize the outstanding achievements by high school aged astronomers throughout the United States. Homeschool teams have done quite well in this science competition in the past. Regionals were held in February. Contact in the fall to enter your team. Regeneron will become only the third sponsor in 75 years of the nation’s oldest and most prestigious high school science competition, committing $100 million to support the Science Talent Search and other Society programs through 2026. This Visual Art Contest to spread awareness about bullying. This competition is to promote creativity in students and a chance to win prizes. We’ll be raising funds through this contest which will be used to spread the word about bullying, support our programs and produce anti-bullying tools & resources. Now in its eighth year, asks middle school students from around the nation to create first on computer and then in large, three-dimensional models of their visions of the city of tomorrow. Check in September. Designed to make philosophy accessible and fun for kids of all ages and abilities, to promote a philosophical dialogue between kids and adults, and to promote a greater awareness of philosophy and education in everyday life. Over $5,000 in prizes are available to students & schools. Home school entries and international participation are encouraged. A consumer education competition that tests teens in grades 9-12 about personal finance, health and safety, the environment, technology, and consumer rights and responsibilities. While not strictly a contest, teams of student delegates, after studying their assigned country’s policies, will win and lose in the debates over the various issues. Homeschools with students in grades four through eight are eligible for this entertaining and challenging test of geographic knowledge. Show your creativity by making history come alive in an exhibit, documentary, paper, or performance. By producing one of these projects, you have opportunities to win awards and scholarships, as well as learn about your history. A well-established contest with very specific guidelines and rules. Entries from home-schooled students are also accepted. Students must be in grades nine through twelve at the Contest deadline.